Also writes as Lee Carroll (with Lee Slonimsky) and Juliet Dark. After pumping gas for nine years to put himself through college, DAN KROKOS, now twenty-six, dropped out to write full-time. He enjoys watching TV, playing MMORPGs, and drinking coffee. False Sight, the sequel to the tour-de-force False Memory, is a mind-blowing thriller with high-octane action that will leave readers begging for the final book in this bold and powerful trilogy. In it, all Miranda wants is a normal life. She's determined to move past the horrible truth of her origin as a clone so she can enjoy time with her boyfriend, Peter, and the rest of her friends at school. But Miranda quickly learns that there's no such thing as normal-not for a girl who was raised to be a weapon. When one of Miranda's teammates turns rogue, it begins a war that puts the world in jeopardy. Now, Miranda must follow her instincts-not her heart-in order to save everything she's fought so hard to keep. CAROL GOODMAN is the author of The Lake of Dead Languages, The Seduction of Water, The Drowning Tree, The Ghost Orchid, The Sonnet Lover, The Night Villa and Arcadia Falls. Her work has appeared in such journals as The Greensboro Review, Literal Latte, Midwest Quarterly, New York Quarterly and Other Voices. After graduating from Vassar College, where she majored in Latin, she taught Latin for several years in Austin, Texas. She then received an M.F.A. in fiction from the New School University, where she now teaches writing. She has been nominated for the IMPAC award twice, the Simon & Schuster/Mary Higgins Clark award, the Nero Wolfe Award, and was awarded the 2003 Hammett Prize. Her novels have been translated into ten languages. In Blythewood seventeen year-old Avaline Hall has already buried her mother, survived a horrific factory fire, and escaped from an insane asylum. Now she’s on her way to Blythewood Academy, the elite boarding school in New York’s mist-shrouded Hudson Valley that her mother attended—and was expelled from. Though she’s afraid her high society classmates won’t accept a factory girl in their midst, Ava is desperate to unravel her family’s murky past, discover the identity of the father she’s never known, and perhaps finally understand her mother’s abrupt suicide.Goodman lives in the Hudson Valley. JEFF HIRSCH graduated from the University of California, San Diego, with an MFA in dramatic writing, and is the USA TODAY bestselling author of THE ELEVENTH PLAGUE and MAGISTERIUM. In The Darkest Path civil war rages between the Glorious Path--a militant religion based on the teachings of a former US soldier--and what's left of the US government. Fifteen-year-old Callum Roe and his younger brother, James, were captured and forced to convert six years ago. Cal has been working in the Path's dog kennels, and is very close to becoming one of the Path's deadliest secret agents. Then Cal befriends a stray dog named Bear and kills a commander who wants to train him to be a vicious attack dog. This sends Cal and Bear on the run, and sets in motion a series of incredible events that will test Cal's loyalties and end in a fierce battle that the fate of the entire country rests on. Jeff lives in Beacon, New York, with his wife. SARAH BETH DURST is the author of young adult novels Vessel, Drink, Slay, Love, Enchanted Ivy, and Ice published by Simon & Schuster, as well as a number of successful middle grade novels. Her next book for teens, Conjured, comes out in September 2013 from Bloomsbury/Walker. In it Eve has a new home, a new face, and a new name -- but no memories of her past. She's been told that she's in a witness protection program. That she escaped a dangerous magic-wielding serial killer who still hunts her. The only thing she knows for sure is that there is something horrifying in her memories the people hiding her want to access -- and there is nothing they won't say -- or do -- to her to get her to remember. Sarah was born in Massachusetts and grew up in Northboro, a small town in central Mass that later became the setting for her debut novel. She studied English at Princeton University, where she spent four years writing about dragons, and wondering what the campus gargoyles would say if they could talk.She lives in Stony Brook, New York, with her husband, her two children, and her ill-mannered cat. Carol Goodman reads from Arcadia Falls. Carol Goodman , The Lake of Dead Languages. Carol Goodman , The Night Villa. Oblong favorite Carol Goodman returns to read from her newest novel, The Night Villa. Carol Goodman's book The Night Visitors is currently available from LibraryThing Early Reviewers. Carol Goodman's book The Other Mother was available from LibraryThing Early Reviewers. Carol Goodman's book The Angel Stone was available from LibraryThing Early Reviewers. Carol Goodman's book The Water Witch was available from LibraryThing Early Reviewers. Carol Goodman's book Arcadia Falls was available from LibraryThing Early Reviewers. 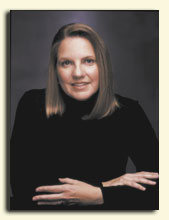 Carol Goodman is currently considered a "single author." If one or more works are by a distinct, homonymous authors, go ahead and split the author. Carol Goodman is composed of 3 names. You can examine and separate out names.